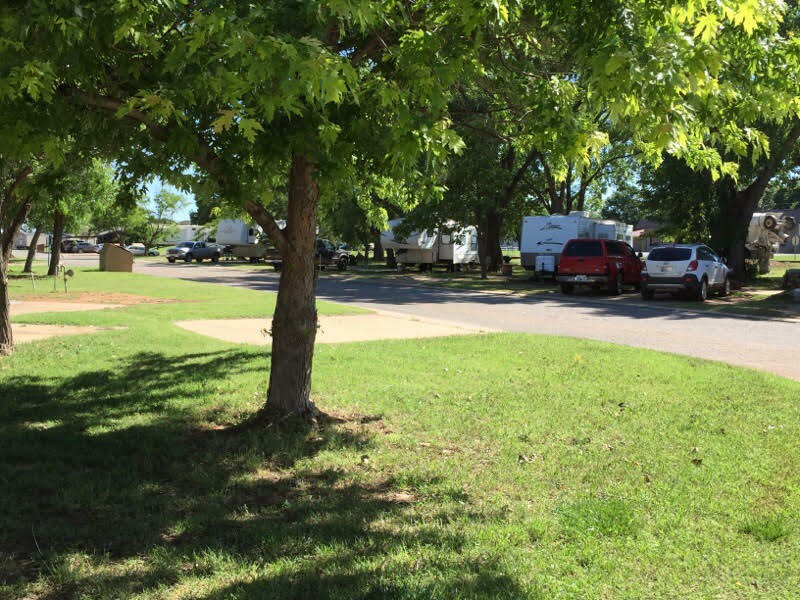 Route 66 RV Park is one of Elk City’s oldest continuous running RV parks. 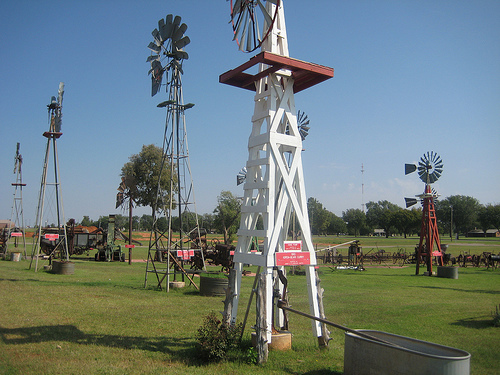 The RV Park is located just off of Historic Route 66 (Now Business Loop Interstate 40). 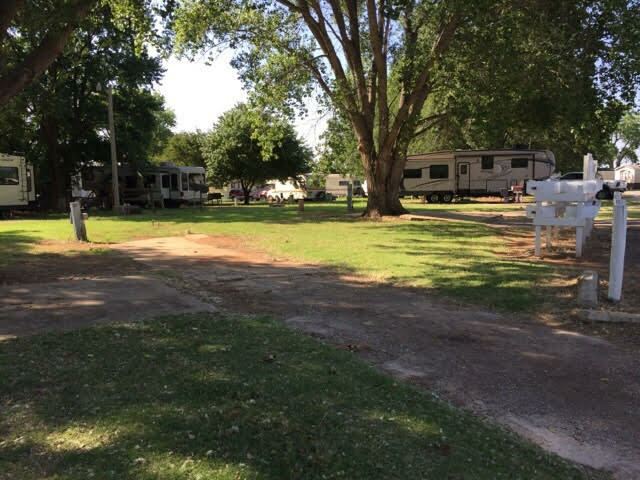 Route 66 RV Park offers easy on and off access to those traveling through Western Oklahoma as well as convenient access to some of Elk City’s finest attractions. 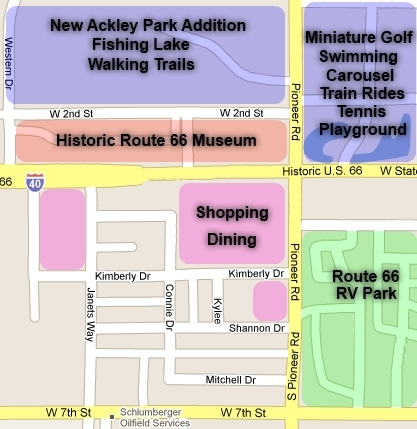 Route 66 RV Park is located just one block away from Elk City’s Historic Route 66 Museum and Elk City’s Ackley Park. 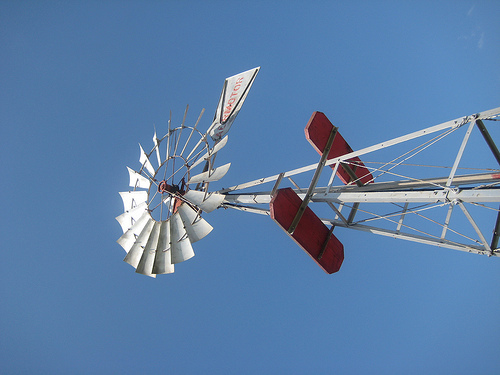 Ackley Park has many activities going on year round. 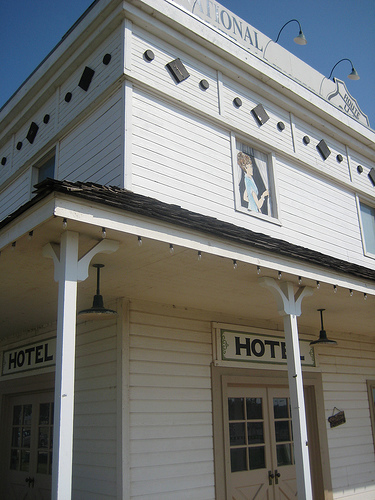 Depending on the time of year you stay, you may be treated to it’s fabulous Christmas in the Park celebrations, minor league baseball games, train rides around the park’s beautiful lake, a game or two on it’s miniature golf course, or maybe just a relaxing swim in it’s large public pool. 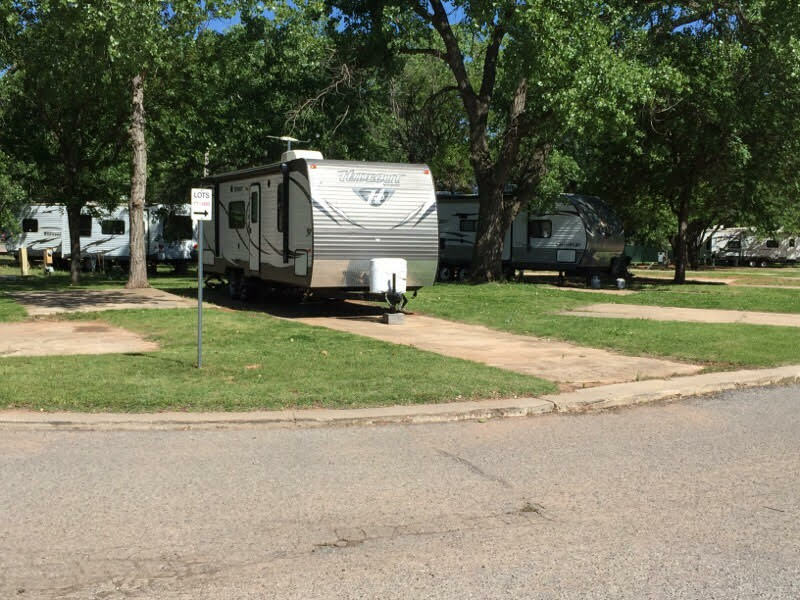 The RV Park is across the street from one of Elk City’s two main grocery stores so shopping is always within easy access. 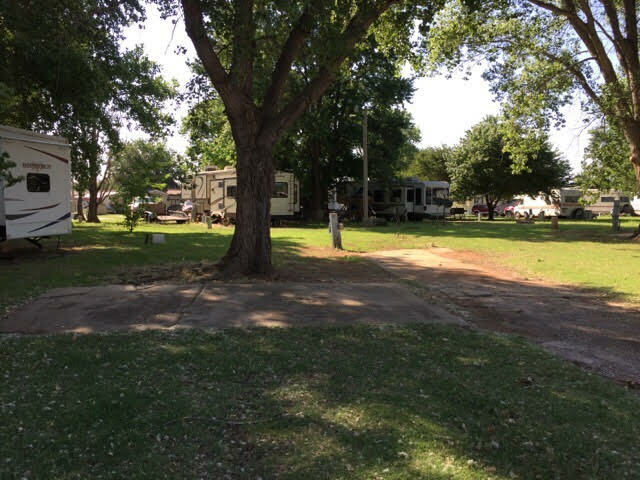 Route 66 RV Park offers 30 and 50 amp electric service. Water, sewer, trash are included. 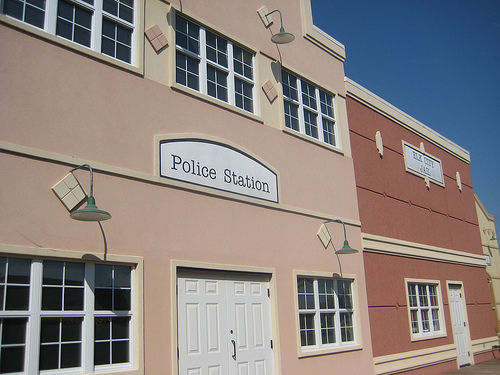 Electricity is included up to $100. 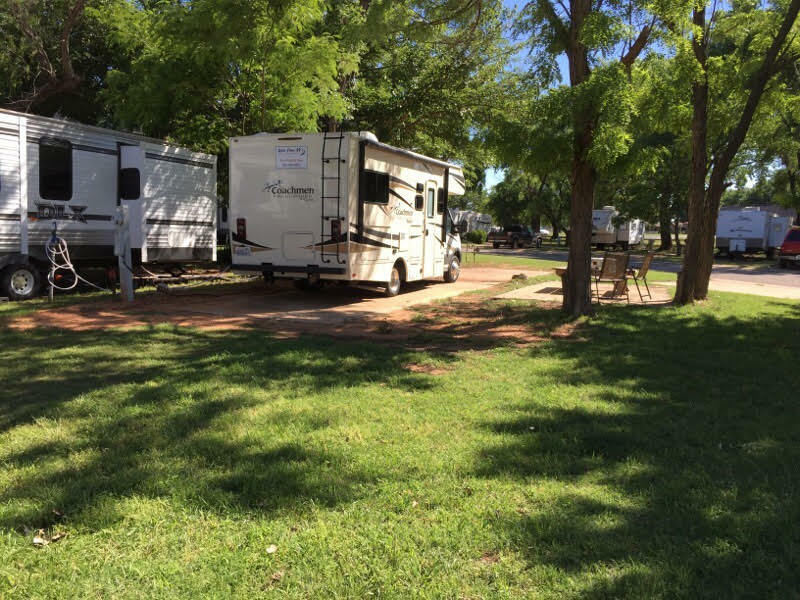 We offer spaces with large, concrete slabs to park your camper or motorhome. 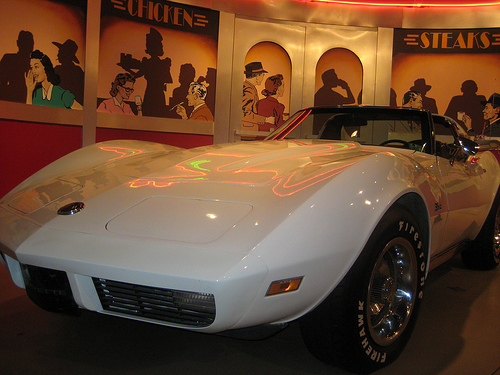 Our spaces are some of the widest spaces in town so pulling in and out is never a problem. Give us a call and we’d be more than happy to serve you! (580) 225-0960.